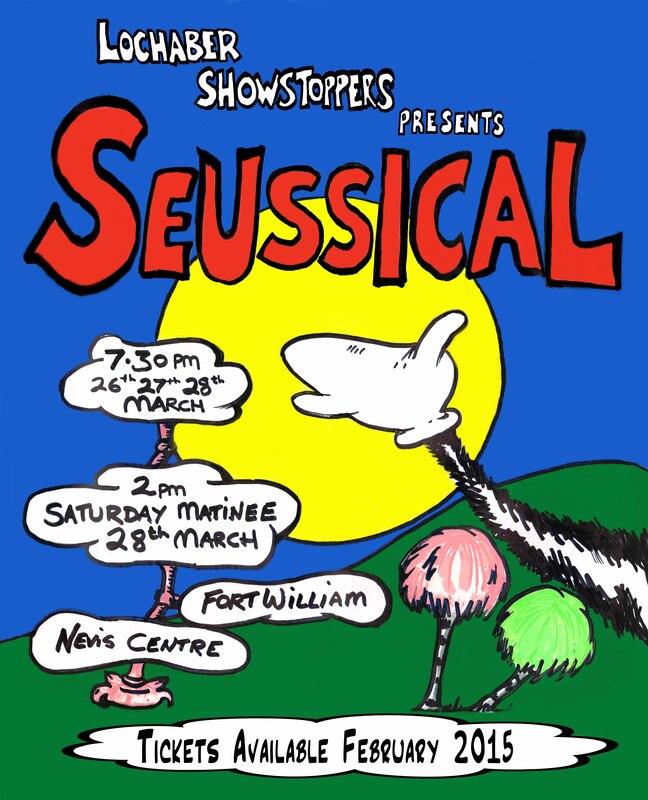 Seussical was on stage at the Nevis Centre, Fort William on 26th, 27th and 28th March 2015. 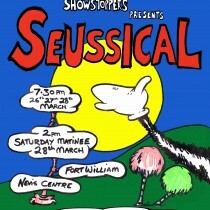 Seussical is based on the works of popular children’s author Dr. Seuss and weaves together his most famous tales and characters. With the Cat in the Hat as narrator, the show follows the adventures of Horton, an elephant who one day hears voices coming from a speck of dust. He soon discovers that within this tiny speck exists the smallest planet in the universe. On this tiny planet live a tiny race of people known as Whos. Although ridiculed by the other animals in the Jungle of Nool for believing in something he cannot see, Horton ignores the naysayers and promises to protect the Whos. Seussical is a fantastical journey illustrated by colourful costumes, larger than life set and a wonderful mix of musical styles played by the amazing Showstoppers live orchestra, including Latin, pop, swing, gospel and Rhythm & Blues.